Today is Maundy Thursday or Holy Thursday. 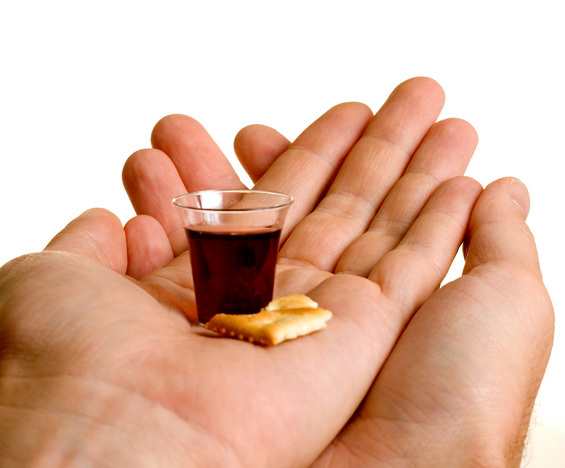 Christian churches around the world celebrate today as the day that Jesus instituted the sacrament of Holy Communion. Churches, as well as individual Christians, differ on exactly how God is at work in the elements of bread and wine. Methodists know this sacrament as a “means of grace;” which is to say that when we receive the Lord’s Supper, we encounter the grace of God. An elder preaches and teaches the Word of God, administers the sacraments of baptism and the Lord’s Supper, equips the laity for ministry, exercises pastoral oversight, administers The Book of Discipline of the church and leads in service of mission and ministry. I am an elder; and was fully ordained as such in 1991. I am married to a Deacon. Sacraments, in addition to being means of grace, bring discussion and even disagreement. In the United Methodist Church, one of these disagreements currently is over Deacons having sacramental authority. The issue is caused in part by the fact that Local Pastors, who are not ordained, receive sacramental privileges in the churches to which they are appointed. In our Conference, their training for this responsibility is done through Local Pastors School. Our Deacons are required to go through this school, but still are not allowed to preside over the sacraments. There are some theological arguments for this, but my concern is that we don’t really get to those arguments. It seems to me this is a turf war for Elders. So, I’ve got another option or perspective. Much of the time it seems that the argument rises over the privilege of presiding over the sacrament. I think that Christians arguing over privilege are almost always missing the mark, so I try and think of it this way: as an elder, I am ordained to serve the sacrament, not to claim the privilege of serving the sacrament. One of my responsibilities then, as an elder in the United Methodist Church, is to serve the sacrament. Since the sacrament is a means of grace and not a magical ritual, I am more interested in inviting people to receive and spreading the good news of God’s grace mysterious availability in the sacrament than I am in controlling who serves or who presides or exactly how the words are spoken over the elements. Since I am ordained to sacrament, if I am not serving the sacrament, I am not fulfilling my ordination. I am not particularly bothered if others, who aren’t ordained, serve the sacrament. Controlling the sacrament is much less my responsibility than is serving it. Reading through this (about the turf war aspect, namely) kinda underscores my point in my comment to your previous post…. In essence, we share this critique (and others) — and I’m glad you’re making these observations from the inside.